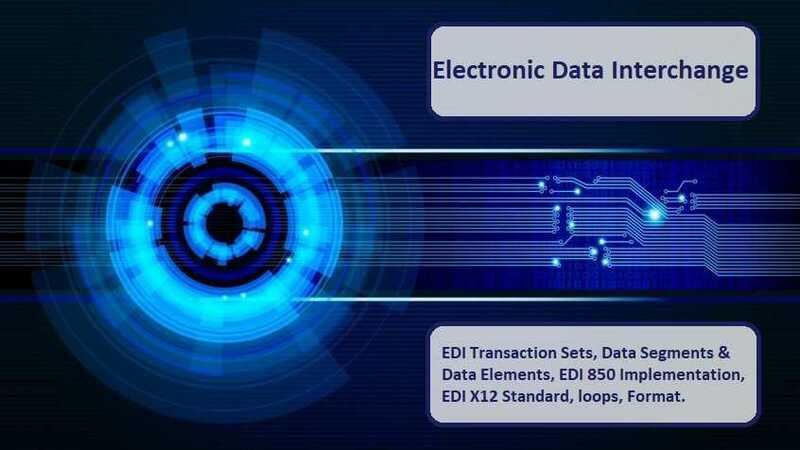 In this Article, we will cover the basics of EDI, you will get to its x12 format, its transaction sets, its data segments, elements and loops then finally the implementation guideline. 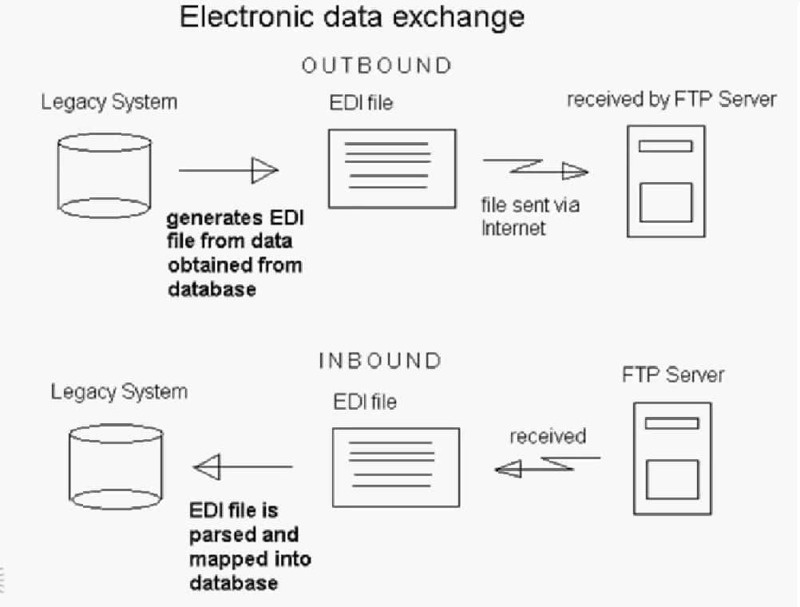 Following are Two main advantages of Electronic data interchange. 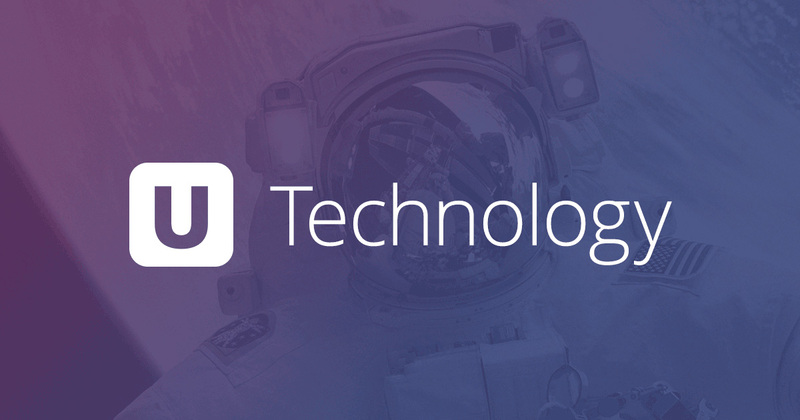 Easy to manage huge volumes of transactions at minimal operating cost. Eliminate mailing delays and data entry errors. 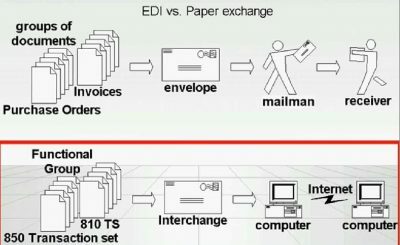 There are two well-defined processes in EDI. 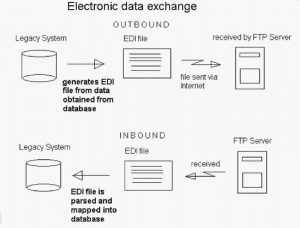 The outbound process is, when an EDI file gets generated from data out of an existing system and then sent to a trading partner. 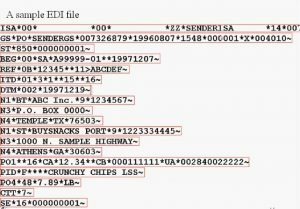 Inbound process is, when an EDI file is received from a trading partner and its data gets parsed and mapped into an existing system. 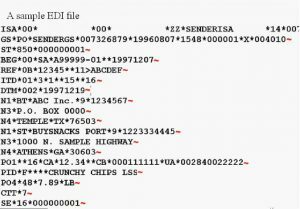 let us now take a closer look at the EDI format. 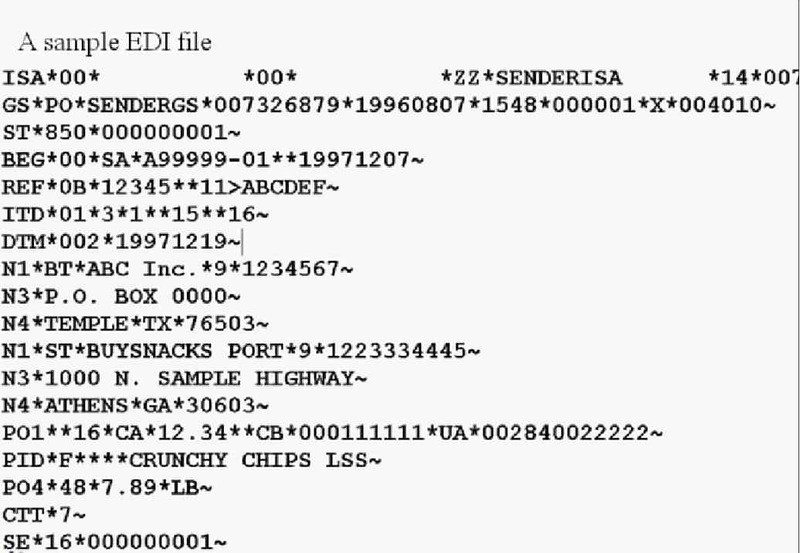 in here we have a sample EDI X – a file as you can see, it is quite cryptic but remember it was designed for a computer to process and not for us to read. The EDI format is made up of data segments. separated by segments terminators, the data segments are made up of data elements separated by element terminators. So the order of the EDI x12 segments goes as follows. 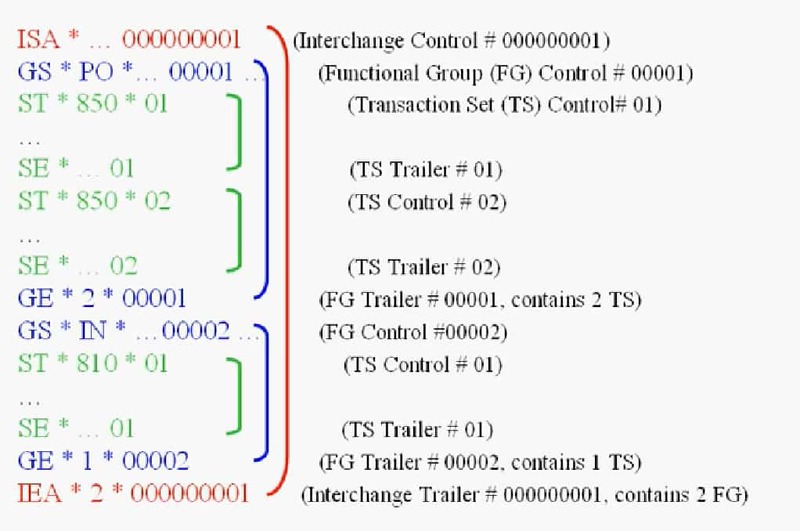 The interchange segments encloses the functional group segments that in turn encloses the transaction set segments. A transaction set is basically the document itself. it is made up of data segments and these data segments are sectioned into areas or tables. the heading is area one or table one, the detail is area two or Table two, the summary is area three or Table three. not all transaction sets have all three areas and in fact many do not have the summary section. Transaction sets are made up of data segments and in turn the data segments are made up of data elements. in this example we have four data elements that are separated by element terminators. element terminators can be of any character but the asterisk is commonly used. At the end of a data segment is the segment Terminator. segment terminators can be of any character or string in this example we use the tilde. some data elements are qualifiers, they hold codes that will describe the values of data elements after them. in this example we have BT that tells us that the element is a bill to company. The nine tells us that the company ID is using the DUNS identification code. if we were to view a segment as a sentence and the n1 segment would say the bill to company name is ABC Inc with the DUNS ID of one, two, three, four, five, six, seven. 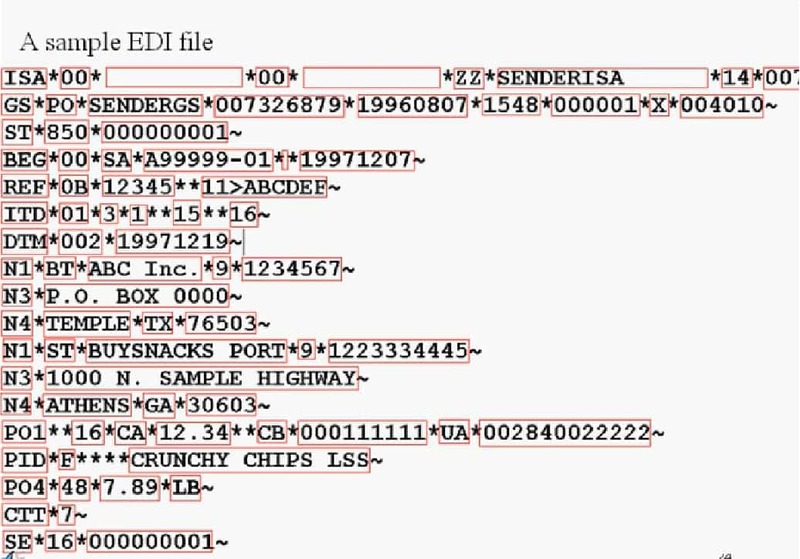 Some view data segments to be like records and their data elements to be like fields. 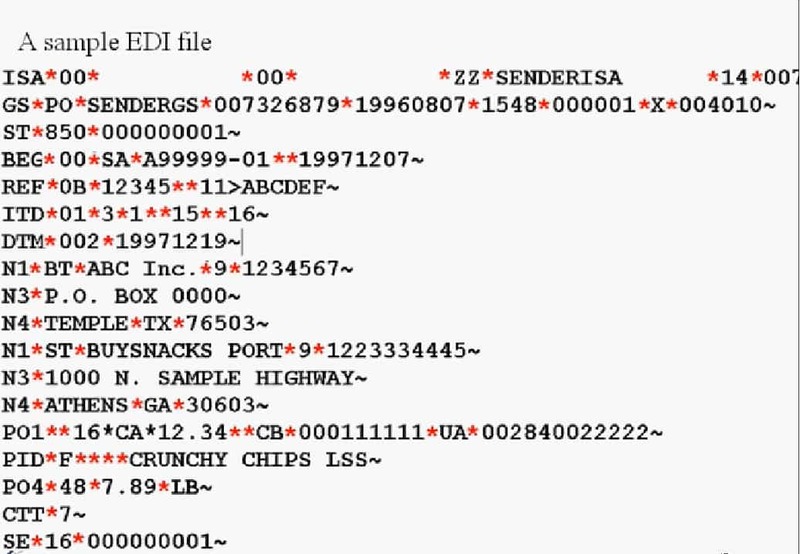 data segments can be viewed better by using the EDI-dev efilemanager. in here we have a section that displays the same in one segment. note how the descriptions of the codes are displayed next to them. 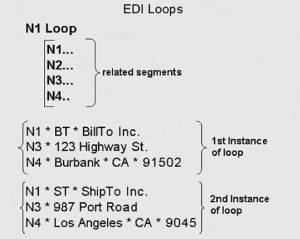 Sometimes Data segments have to be read together to obtain the correct information that is when we use EDI loops to denote such relations. 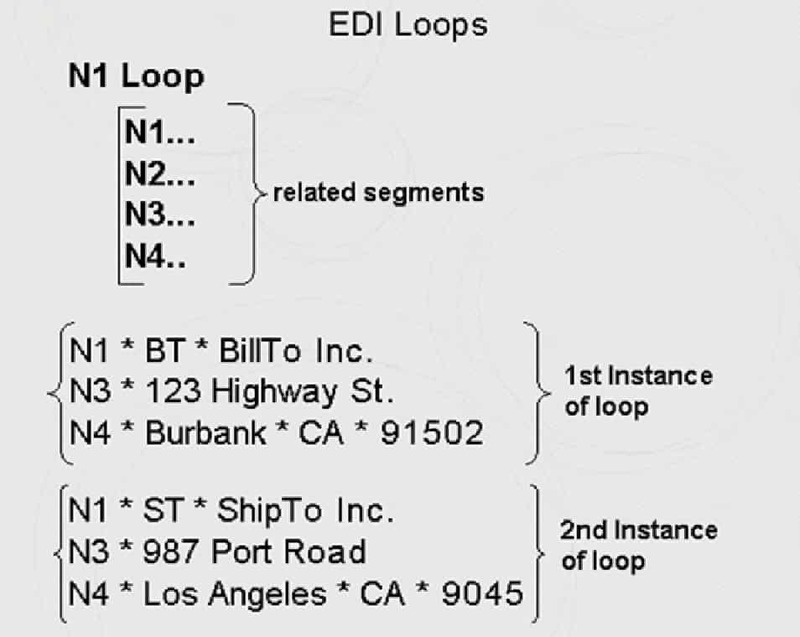 EDI loops are used to keep related segments together, so that together they can convey the correct information. loops also make possible to repeat a group of related segments. in our example we have the n1, n2, n3 and n4 segments in a loop. note how the segment’s depend on each other. here the n3 segment with the street address value does not make sense without the n1 segment telling us that it is a street address of the bill to company. This example also shows how the loop is used twice to hold two different information of similar format. the first loop holds the billed to address while the second loop holds the ship to address. 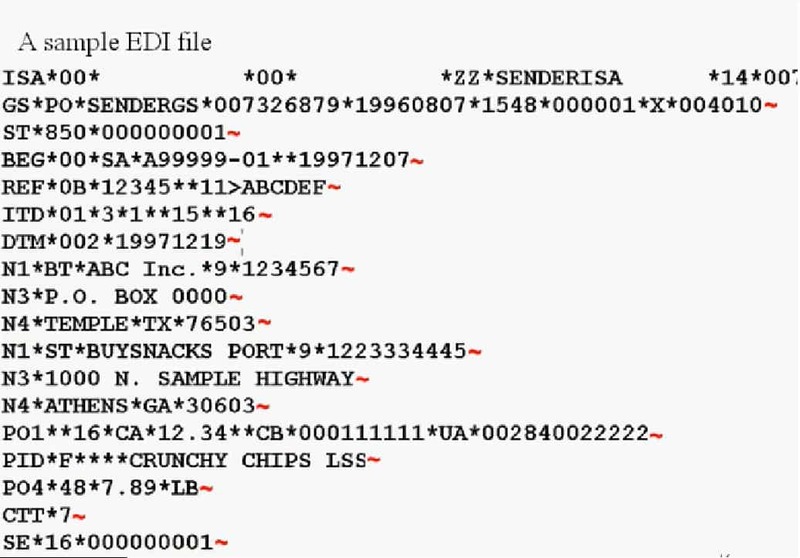 Even though it is the standard still has many version and transaction sets, the users have to be aware of so as to exchange EDI files successfully. 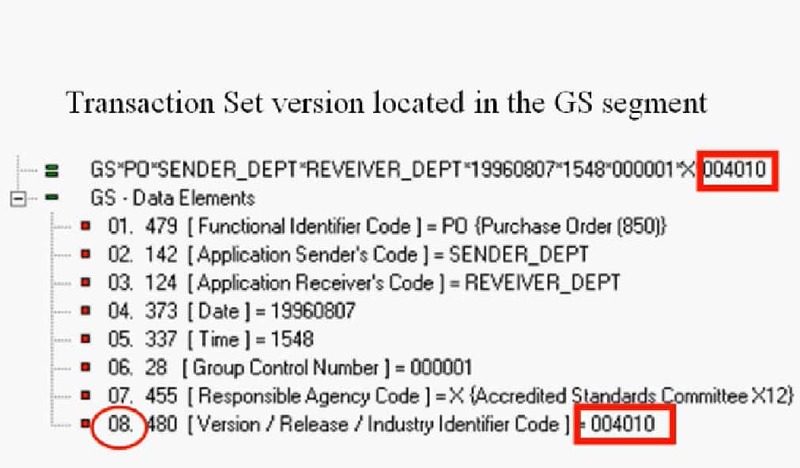 the version number is indicated by its first three digits, the last digit indicates a release. here, the 40 10 and the 40 20 would indicate a major release and the 40 12 would indicate an interim release. 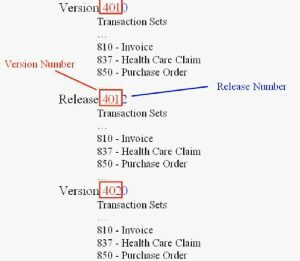 changes in their interim releases are included in the next version therefore version 4020 would include the changes that are in the 4012 release. 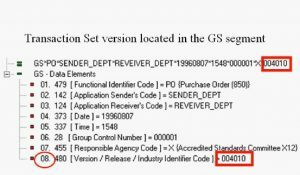 The version of a transaction set in an EDI x12 file can be found in the 8th data element of the functional group or GS segment. even when using the same versions of transaction sets, there are still differences in how companies would use them. for example, some data segments and elements may be omitted or the number of times the loop can be used is limited or some code values of an element restricted. All these rules would be noted in an EDI Implementation guideline. here’s an example of an 850 transaction set guideline for a particular company. 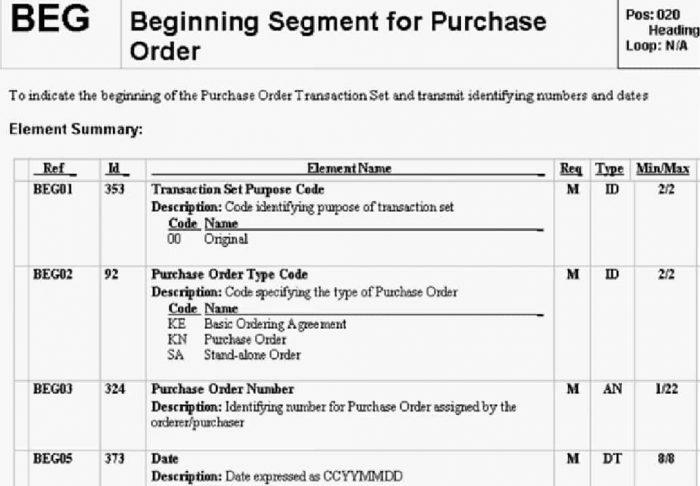 note that only the segment’s that are being used in the transaction set are displayed and in the required column a data segment that must be used is indicated with an M for mandatory, an O indicates that the segment is optional. the maximum column indicates the maximum number of times the segment can be used. The ref segment can be used at most two times, the repeat column denotes the maximum times a loop can be repeated. here, the n1 loop can be repeated at most four times. The implementation guideline also has a detailed section for each segment which shows the requirements for each of its elements. in this example we have the ST segment that has two data elements. the first element is allowed to have only the value 850. it is a required element with the length of exactly three characters. 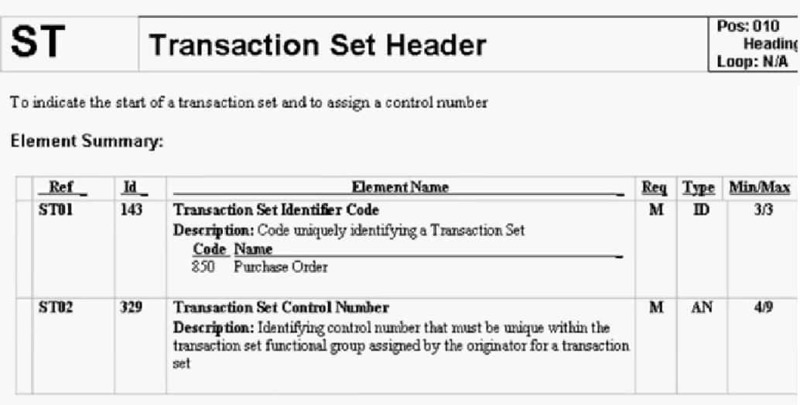 the second element should hold a control number for the transaction set, it too is required with a minimum length of four and a maximum length of nine characters. 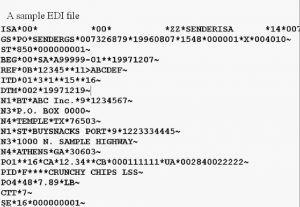 let us take another example the Beg segment that uses only four of its 12 data elements. the four elements use have the position numbers 1, 2, 3 and 5. 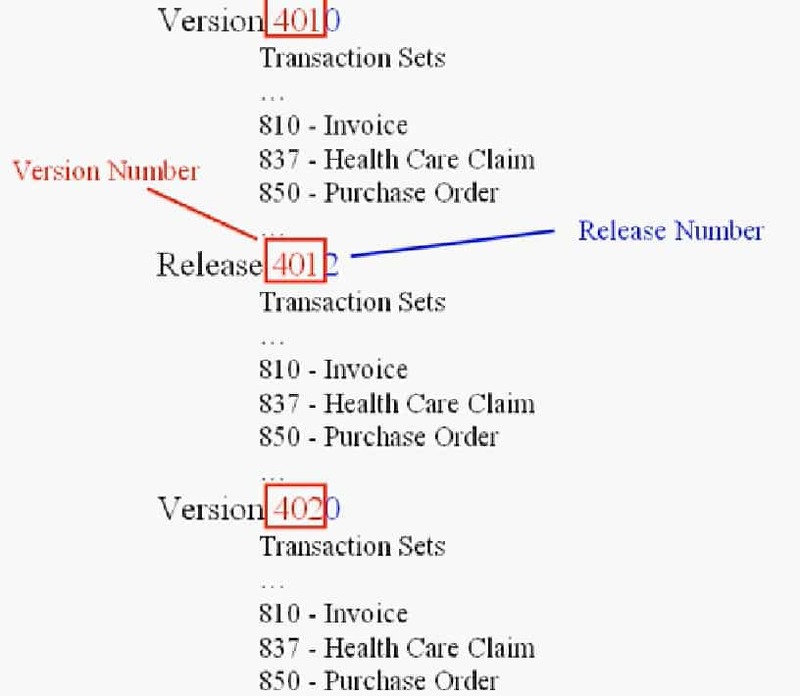 The first data element indicates that it can only have the value 0 0. it is a mandatory element with an exact length of two characters. the second data element can only have kE, KN or SA as its value. it too is mandatory with an exact length of two characters. the third data element should contain the purchase order number, it is also mandatory the minimum length of one and a maximum of 22 characters. 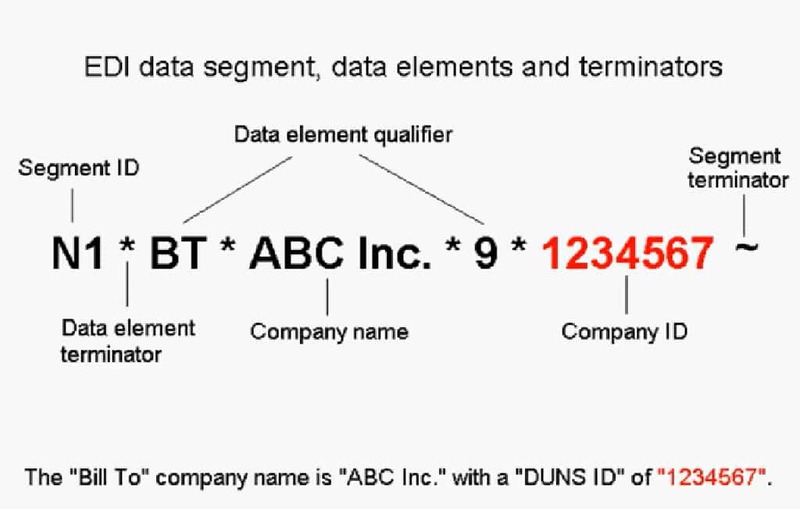 note that the fourth data element is not being used and that the next data element is a fifth data element. 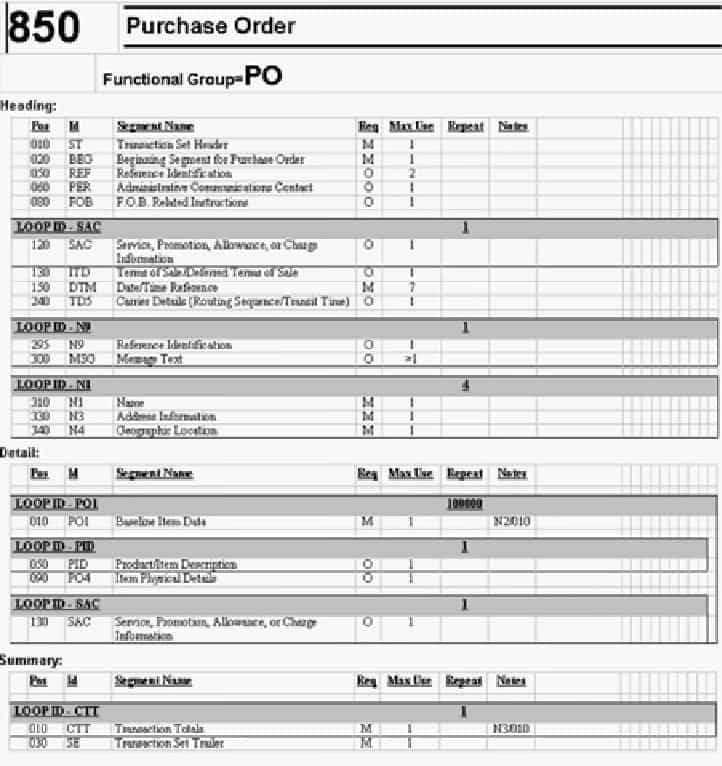 it is a mandatory element and should contain the purchase order date value of 8 characters.